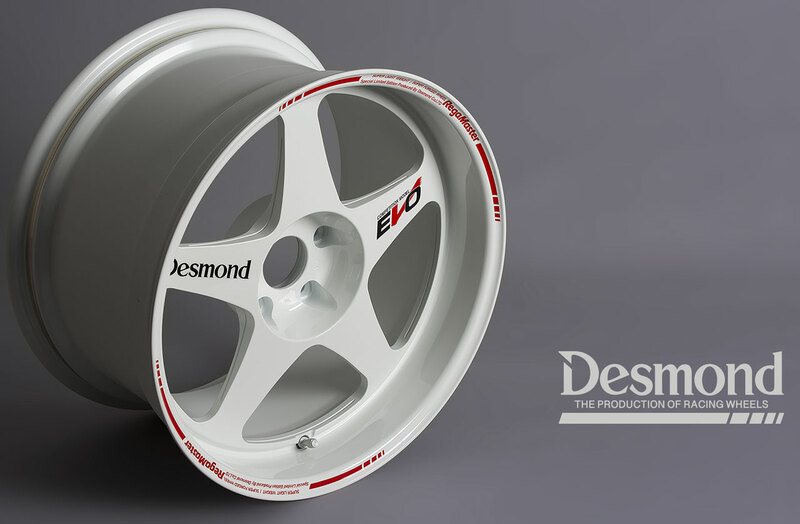 Desmond Regamaster EVO II 18X10.5 5X114.3 +22 Offset White. PRICE IS FOR A SET OF 4 WHEELS. Center Bore = 73.1mm, Weights: 18.96 lbs or 8.95 kg Per wheel, Lip Size: 70.1mm and Pad Area is 52.5mm Deep. MADE IN JAPAN. SHIPPING IS VIA FEDEX GROUND ONLY, PLEASE DO NOT SELECT ANY OTHER METHOD. 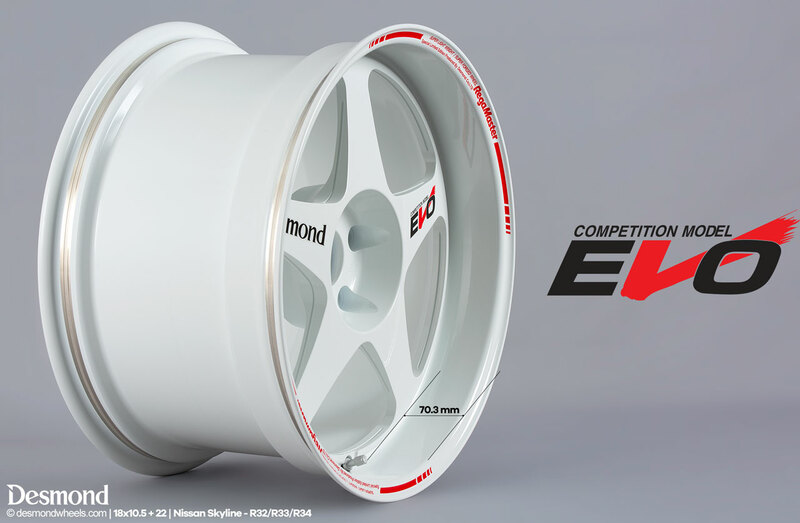 Each set of wheels comes with 4 EVO spoke and 8 Lip stickers as well as 4 silver valve stems. Desmond (choice of Silver or Black color) spoke decals is optional. Each wheel at Desmond starts as a solid piece of 6061 Aluminum. The forging process begins as the piece is compressed at 8,000 tons of pressure which develops the basic shape of the wheel. From there each wheel is machined to our precise specs and tolerances, thereby creating a true masterpiece.